I have compiled a list of my top seven absolute favorite shows on television currently. These are shows that if you haven’t yet seen you really need to check out. The actors in these shows bring it each and every week and each show I’ve chosen leaves me wanting more and excitedly anticipating each episode. 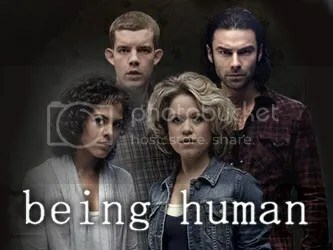 Being Human first started airing in the UK and followed soon after in the US with their own version of the show. 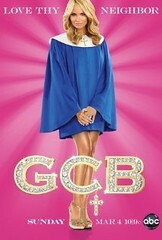 I have watched both and to tell you the honest truth the US version does not do the show justice at all. For all those viewers who are as disappointed as I am with the US version please watch the UK version before scrapping the show entirely. Being Human UK has everything for me. There’s humor, great special effects and drama. It’s about a werewolf, a ghost and a vampire who all end up living under one roof and try to bumble through life trying to be “normal” despite being so glaringly different according to society. If you haven’t yet had the pleasure of seeing this show you can view it on Netflix like I chose to or you can try finding it elsewhere. If laughter really is the best medicine then Community delivers my daily dose each week. This show has a brilliant, hilarious cast including Chevy Chase who is one of my all time favorite comedians so I was delighted to see him in this TV show. The first episode made me laugh so hard I cried and each show has delivered in the funny department so far. I actually just started watching this show starting with season 1 and I’m wondering where I’ve been and why this show wasn’t on my radar until now. I’m glad I finally found it and for those that have also missed out please give this show a try. You won’t be disappointed. Shameless is one of those shows that may not be widely received by everybody but it always delivers shock value. Shameless revolves around this family that is living on the wrong side of the tracks. The Father is an alcoholic that’s always looking for his next scam and his children are being raised by his oldest daughter and left to fend for themselves. This family is completely shameless, sometimes rude and seem to always be mixed up in something illegal. Shameless totally delivers on many levels. The writer has a unique way of taking what many would consider an awful life and putting a refreshing humorous spin on it. I always wonder what they’ll get mixed up in next and I can’t wait to find out! A dash of drama and a pinch of action makes the perfect recipe for a TV show. Blue Bloods has an all star cast including Tom Selleck and Donnie Wahlberg and it follows an Irish family, The Reagans, that are all working for or have worked for the NYC police department. For all of you that are tired of police shows please don’t give up on them just yet because Blue Bloods isn’t just any police show. They focus on the job, family drama and there’s twists and turns in each show. Every actor is spot on and the writing is impressive and that’s why I’ve never missed one episode of this show. Homeland stars none other than Claire Danes which was the main reason I started watching this show. I love Claire Danes in everything she’s done and Homeland is no exception. I had a feeling I wasn’t going to be disappointed and sure enough I wasn’t. If someone asked me to describe the show Homeland in one word it would be thrilling. Homeland revolves around Claire Danes who plays a CIA officer who is Bipolar. She has come to believe that Brody, a U.S. Marine that was held captive by Al-Qaeda as a prisoner of war, was turned by the enemy and now is considered a threat to the U.S. 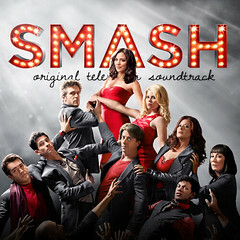 This show is brilliantly written and acted and is guaranteed to entertain. 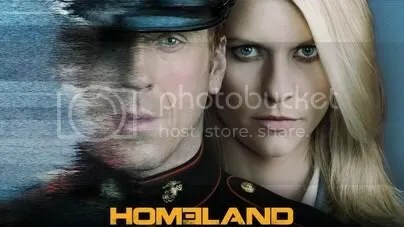 You will never know what’s coming next and who is the enemy.Homeland has finished it’s first season on Showtime and was renewed for a second which is set to air on September 30th, 2012. I can’t wait to see what happens next! Game Of Thrones is one of those shows you have to see. I have fallen in love with this show from the very first episode. Many millions have gone into making this show and it’s well worth it. It’s filmed in beautiful Ireland and every show is a masterpiece. The stunning visual effects and quality acting has made for a show that impresses me on every level. Game Of Thrones is a medieval fantasy that follows the violent struggles of noble families for control of the Iron Throne. This show is already widely well received and has a huge fan following that is continuing to grow. If you haven’t checked this show out I urge you to do so. You will not be disappointed! The show Damages begins with a young woman stepping out of an elevator bloody and confused and then they take you back to the beginning to weave a tale of suspense and mystery and explain exactly what happened to that young woman. 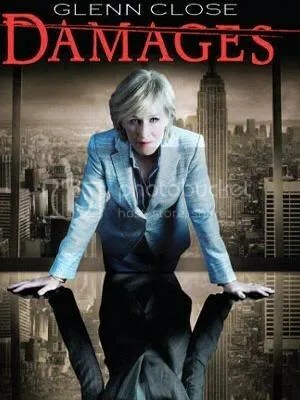 Damages revolves around a young lawyer just starting out that is offered a job with a tough, no nonsense, famous lawyer at her firm. 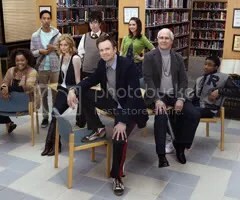 The actors in this show are amazing and each season gets better than the last. I watched each episode one after the other on Netflix and everything fell apart around me because I couldn’t stop watching. They are currently filming Season 5 which will be their last and I’m really excited to find out what twists and turns they have in store for me. I was a little depressed and saddened that so many of my favorite shows were either being cancelled or having the plug pulled on them but I started hearing whispers and gossip regarding a brand new show coming out called Game Of Thrones. 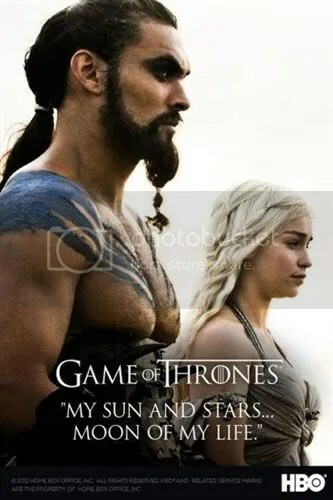 My husband being the avid reader and huge fan of fantasy novels claimed he had read the series A Song Of Ice And Fire by well-known author George R.R. Martin and was excited that they were creating a TV series based on the popular books. Each season was set to be based on one book in the series. After watching the first episode I was amazed at the quality in acting and special effects. The show is filmed in beautiful, stunning Ireland. The scenery is absolutely breathtaking and each episode is a visual masterpiece. It is said that the budget for Game Of Thrones could be compared to Rome with reportedly 5-10 million just going into the pilot and the total budget for the first season being 50-60 million. This show was worth every penny in my eyes. 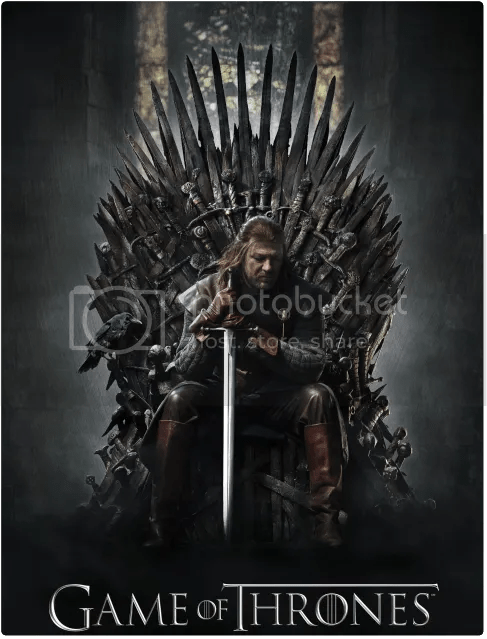 Game Of Thrones follows seven families caught in a sometimes violent struggle over control of the Iron Throne and as the series opens the threats from the snow-covered region north of Westeros and the eastern continent across a narrow sea are simultaneously beginning to rise. 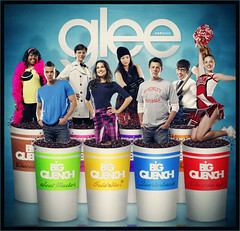 Each character and each episode leaves me wanting much more and George R.R. Martin claims the show was very faithful to his work. Hats off to you David Benioff and D.B. Weiss for creating a fantastical, mythical masterpiece worthy of many awards and bravo to the entire cast for superb acting that has left me entertained every Sunday night. Those of you who have not seen Game Of Thrones I dare you to watch it and not be amazed!